Rustic Country and Vintage Style wedding themes have been very popular recently and look like they are still going to be going strong for some time to come. Couples have incorporated natural fabrics such as hessian (burlap) into their decorations. The course natural hessian can also be trimmed with a more delicate lace detail. Many handmade and vintage pieces can be added to give a more personalised and meaningful feel to your wedding. Team this with an outdoor ceremony in the country or on a farm followed by a reception in a barn for a perfect relaxed wedding. To create this theme, Gem's Wedding Supplies has many accessories and decorations to give the finishing touches to your day. 1. Begin with the little details such as our vintage style garter, and our hessian covered ring pillow accessories. 2. Add little details to your bomboniere and stationery with twine, doilies and our vintage style thank you cards. Handmade treats such as jars of jam make perfect favours. 3. 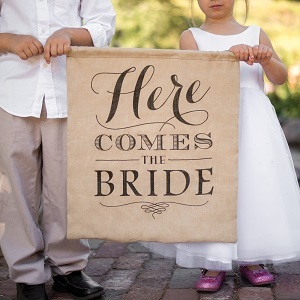 Use buntings, banners and signs to highlight parts of your wedding. Our mini blackboards can be just the perfect finishing signs to your table settings and dessert buffet. 4. 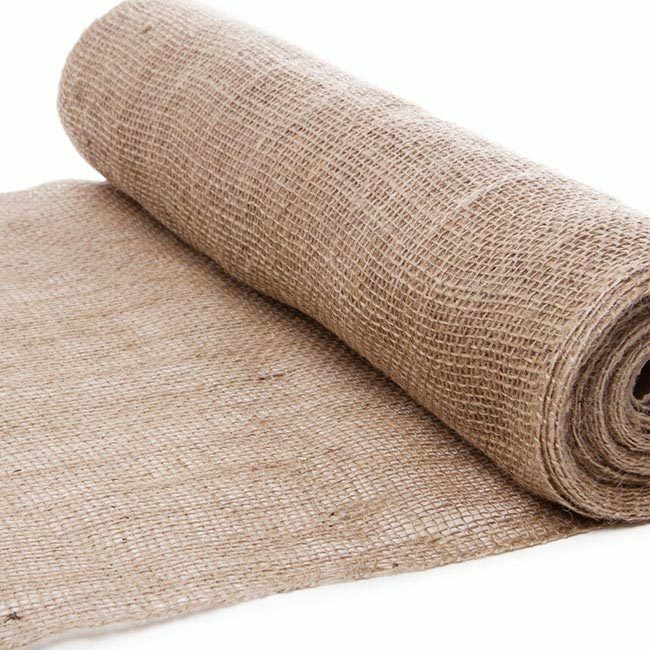 Incoporate our natural hessian fabric decorations in to your table settings. Start with our hessian rolls or our lace trimmed hessian table runners to be placed down the centre of your tables. 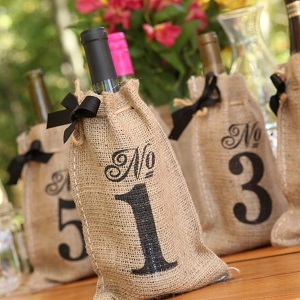 Our hessian wine bags are the perfect table numbers as well as giving that country style touch to the centrepieces. 5. Finish your centrepieces and wedding decorations with collections of vintage jars, books, and wooden or tin items.